The reason that adoption is so expensive is that several costs are incurred along the way. The agency must cover its own expenses of staff and other overhead. 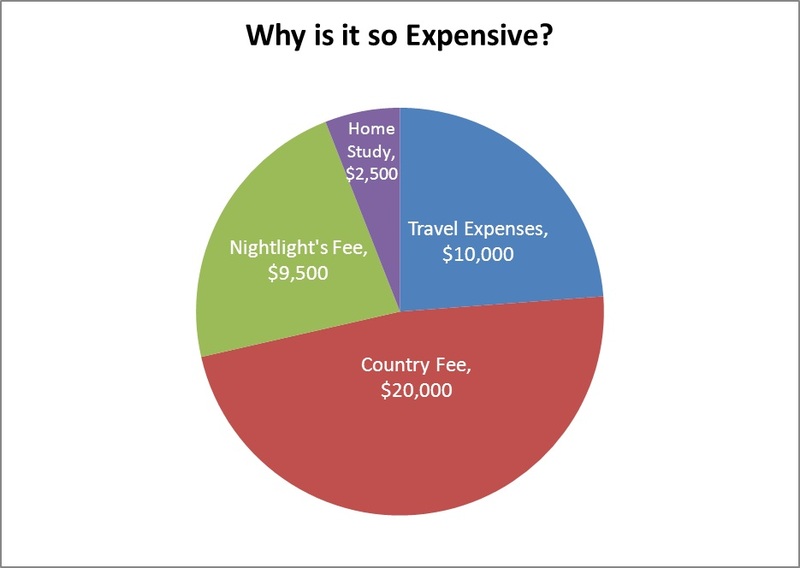 For instance, in the case of International adoption, the chart to the right shows how expenses go to travel, the adoption agency, and expenses incurred in the foreign country. Travel expenses are included in the cost, and many nations require two or three trips to the country. These trips are sometimes for weeks at a time, and require the help of translators and other specialists. Finally, the orphanage where the child is currently living needs to cover its costs, and the costs of the other children who are left behind. These fees are part of the “country fee,” which often makes up the largest expense of an international adoption.